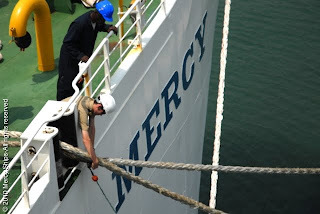 Last Wednesday, the M/V Africa Mercy arrived in Lome, Togo. 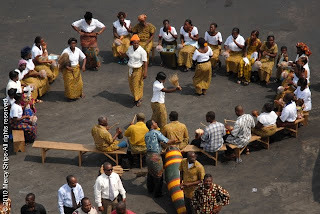 The elementary students had a series of lessons about Togo during the sail. Here one of my students is waving the Togolese flag that he made during one of the lessons.